The purpose of this grounded theory study was to understand and explain how training and work setting experiences influence readiness of professional school counselors for serving gang members in schools. A purposeful sample consisted of secondary school counselors (n = 5) and school leaders (n = 7) in a southeastern metropolitan school district. Blended themes from the counselors and leaders were: (a) professional development attitudes, (b) actual and potential roles when working with students in gangs, and (c) counselors’ collaborative role in discipline process. The Collaborative C.A.R.E. theory that emerged from the thematic analysis highlighted the absence of collaboration between school counselors and leaders. Specific findings identified reasons for the lack of collaboration and led to recommendations for practice and further research. This study utilized a qualitative dominant crossover mixed analysis that examined why school counselors (N = 38) choose or do not choose to use Naviance—an online college, career, and financial planning tool. The study further explored whether school counselors’ acceptance and use of Naviance enhances counseling practices, job productivity, and efficiency. The Technology Acceptance Model (TAM) was used for the theoretical framework. TAM is comprised of four constructs: perceived ease of use, perceived usefulness, attitudes, and actual behaviors. Bandwidth, training, and connectivity influenced some counselors’ attitudes toward usage and productivity; however, overall attitudes toward Naviance were positive. 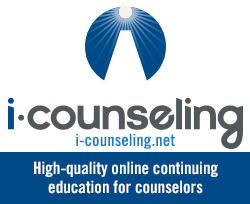 Future research should explore the connection between counselor usage and the number of hours trained on Naviance. Latinx first-generation college students (FGCS) are a growing population faced with unique challenges for college retention and graduation. Because their parents did not attend postsecondary education, this group of college students has not inherited the social or cultural capital common to many traditional college freshmen. Both high school and college counselors are in positions to support the psychosocial and emotional needs of Latinx FGCS, which may increase successful college completion rates. 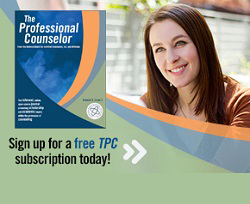 This article provides high school and college counselors with (a) an overview of FGCS’ characteristics, (b) information specific to Latinx culture, (c) an understanding of the college experiences of Latinx FGCS, and (d) a discussion of counseling implications for addressing the psychosocial and emotional needs of this population. Students in K–12 schools benefit from career counseling as a means to improve their readiness for academic and career success. This quantitative study explored the career counseling self-efficacy of 143 practicing middle school counselors using the Career Counseling Self-Efficacy Scale-Modified and a subscale of the School Counselor Self-Efficacy Scale. Although school counselors were confident overall, evidence of specific areas of concern and limited time for career counseling was found. Results related to the importance of prior teaching experience in relation to career counseling self-efficacy also were highlighted. 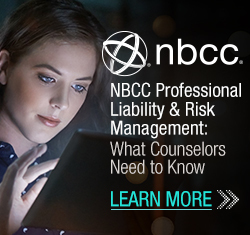 Implications for school counselors and policymakers include examining the amount of time school counselors spend on providing career counseling in comparison to time spent on non-counseling–related duties. The burnout and stress experienced by school counselors is likely to have a negative influence on the services they provide to students, but there is little research exploring the relationship among these variables. Therefore, we report findings from our study that examined the relationship between practicing school counselors’ (N = 926) reported levels of burnout, perceived stress and their facilitation of direct student services. The findings indicated that school counselor participants’ burnout had a negative contribution to the direct student services they facilitated. In addition, school counselors’ perceived stress demonstrated a statistically significant correlation with burnout but did not contribute to their facilitation of direct student services. We believe these findings bring attention to school counselors’ need to assess and manage their stress and burnout that if left unchecked may lead to fewer services for students. We recommend that future research further explore the relationship between stress, burnout and programmatic service delivery to support and expand upon the findings in this investigation.